Driving in the San Francisco, CA bay area can be stressful--you need a compact, city-ready car for navigating busy streets and steep hills. 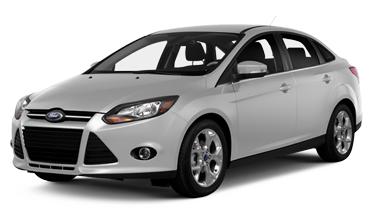 With those parameters in mind, you've got plenty of options, like the 2015 Ford Focus. You're free to settle, or, you can choose true freedom on wheels with the all-new 2015 Subaru Impreza. 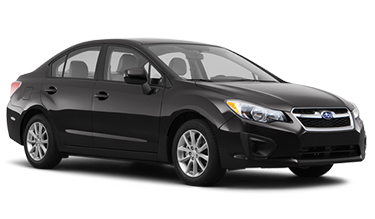 Sure, it's comparable in size, style, and appointments to the new 2015 Ford Focus, but the 2015 Subaru Impreza is ready to go anywhere with its standard Symmetrical Subaru All-Wheel Drive and vibration canceling Boxer engine. Once you've read through our comparison information, you'll be ready to test drive the all-new 2015 Subaru Impreza and experience the perfect combination of California coastline and Subaru capability. Excellence starts with the design of the all-new 2015 Subaru Impreza. Both the 2015 Ford Focus and the 2015 Subaru Impreza are available in both sedan and hatchback body styles, letting you choose the combination of passenger comfort and cargo space you need. Of course, the Subaru Impreza hatchback offers more maximum cargo space and flexibility. In addition to its interior flexibility, the Subaru comes ready for adventure with its four-wheel independent suspension and standard symmetrical all-wheel drive--you won't get that with the Ford Focus! Both the 2015 Subaru Impreza and 2015 Ford Focus offer peppy and efficient urban performance. However, you'll make the 2015 Subaru Impreza your first choice if you want the ability to go anywhere. A 2.0L four-cylinder engine can be found in both vehicles but the horizontally opposed Boxer engine equipped in the Subaru Impreza works in tandem with a Continuously Variable Speed Automatic Transmission and Subaru Symmetrical All-Wheel Drive for greater fuel economy and more balanced performance anywhere. Ready to change the way you drive for the better? Start with the 2015 Subaru Impreza. If having dependable safety equipment and state-of-the-art technology is important to you, you can't skip the 2015 Subaru Impreza. Thanks to its specially designed frame, multiple airbags, and features like stability and traction control, the new Subaru Impreza earned an impressive five stars in all NHTSA crash testing. The Ford Focus also avails plenty of confidence boosting safety features along with convenient infotainment. With the Subaru Impreza, you can enjoy the cutting-edge with features like a touchscreen interface, navigation system, automatic climate control, and much, much more. Here at Carlsen Subaru, we specialize in offering bay area customers huge savings on incredible new vehicles. If you're looking for a new ride, our huge selection of capable Subaru models is the place to start--check out our complete inventory and our new vehicle specials. We also offer great values on dependable certified pre-owned vehicles. We take pride in keeping Subaru vehicles on the road: you can take advantage of special savings on our cutting-edge Subaru maintenance and get our Subaru parts coupons. For more information on all we have to offer, contact us at (888) 520-5916 or stop by and see us at 480 Veterans Blvd, Redwood City, CA 94063, where we're not far from San Mateo and Fremont, CA.